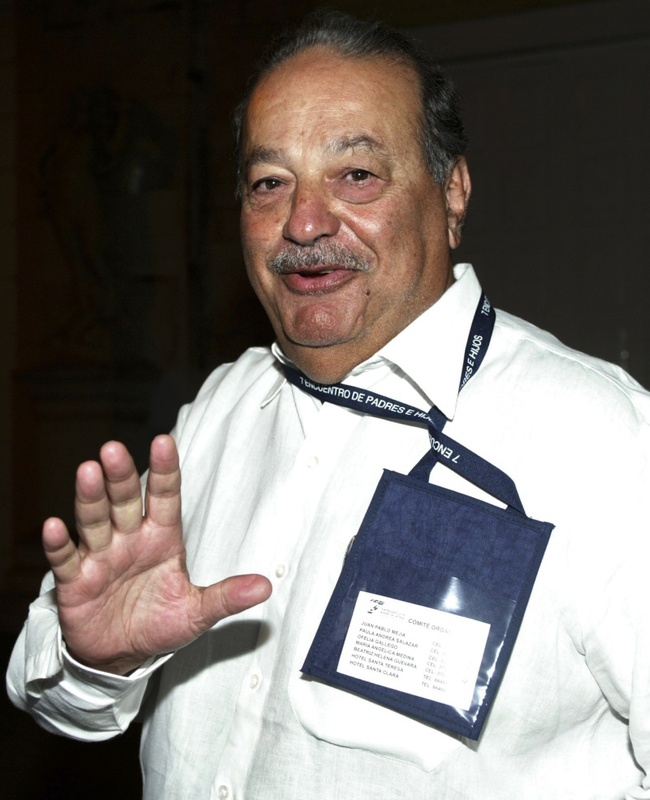 I caught a glimpse of Carlos Slim's hand, and there are few things I wanted to ask. Just some background, Slim has been considered as the richest man in the world since 2010. He is Mexican and owns a good part of a number of Mexican communications, technology, retailing, and finance companies. 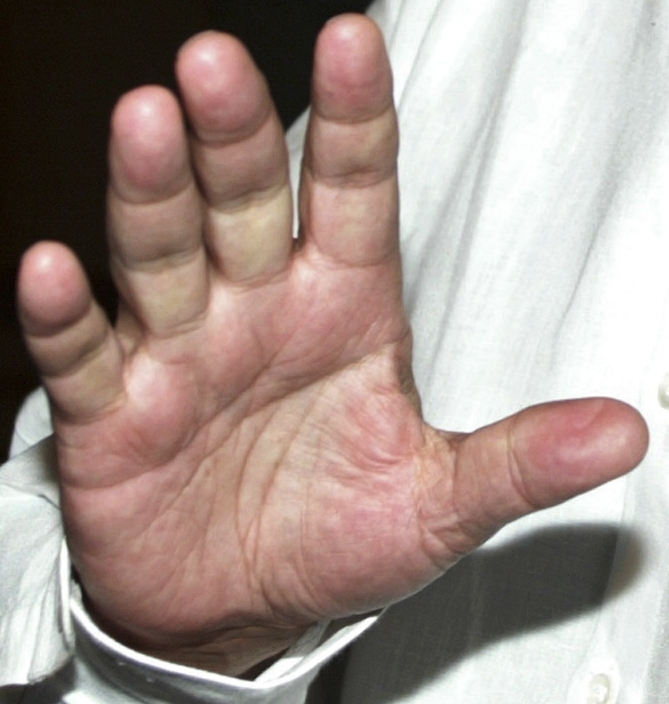 The image isn't really the best angle, though we can easily see he has thick, short fingers as most successful businessmen have. 1. My first question has to do with the life line. Does he have 2 life lines or is the straighter, inner line that forks towards the bottom the life line and the outer one that curves more the fate line? 2. Depending on your interpretation of #1, where is his fate line. 3. What is that lighter, less well formed line that also looks like a life line. 4. Looking at his heart line, is that a trident at the end?